Factors such as advancing years, disabilities and poor health through accident or illness can limit what an individual can do in the garden. However, in most cases, it is possible to still enjoy gardening. A wealth of information is available on designing and adapting the garden, specialist tools and equipment, inspirational gardens and how to apply for funding for specific projects. A range of organisations and services that might be helpful are listed below. 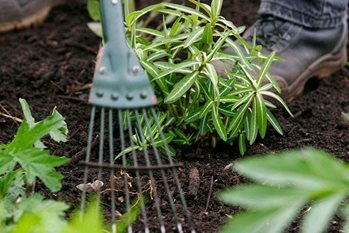 A charity producing a wealth of gardening information on their gardening website for people to start or continue gardening with a wide range of disabilities. A local charity advising individuals on how to adapt their gardens, and develop their gardening skills. RNIB, in partnership with Thrive, have developed a wide range of services providing information and guidance to gardeners who have sight loss. Many organisations specialise in selection and sourcing of suitable tools and gardening equipment. Disable Living Centres throughout the UK provide opportunities to see and try products and equipment as well as offering professional advice on the most suitable items. Use the postcode search facility on the website to locate the nearest centre. Offer advice on selecting and sourcing tools. They have an Equipment Centre in London where people can make an appointment to visit and try out some tools. Garden and DIY tools tested by Fred Walden, garden writer and equipment consultant to organisations including the NHS, charities and universities. Designers, manufacturers and suppliers of ergonomic tools, aids and assistive devices, for people suffering from arthritis or reduced gripping strength. They stock a range of Easi-Grip® and long reach tools. Specialises in the construction of custom-made, technical aids for people with disabilities. Use the postcode search facility on the website to locate the closest regional contact. There are many organisations possessing/running demonstration gardens and here is a selection. To arrange a visit to the Thrive demonstration gardens telephone or email the manager via the website www.thrive.org.uk. Many residential care homes have sensory gardens. Sensory garden and gardens designed for wheelchair users. Examples of raised beds, containers, paving materials and tools can be seen by arrangement at the charity’s demonstration garden. A national charity supporting disabled and disadvantaged people into work. Demonstration and working gardens can be found at many of the Trust’s centres. Contact the Trust via the website. The website provides information on the accessibility to gardens for children, disadvantaged families and disabled people. It allows garden visitors to report on their visits to gardens and has a directory of gardens in England and Wales. To promote education in agriculture, horticulture and conservation for those who are disabled or disadvantaged. The Trust aims to help those who are disabled and would like to actively participate in gardening. It offers financial assistance and practical help and advice. Contact the Trust via email or letter.